I have seen this pub from the tram on many occasions, and had never previously visited it. This was a Sunday lunchtime and the pub was getting ready for a busy day. The landlord appeared to especially keen on the quality of his beer, and we had an interesting debate on the use of sparklers. Okell's - Bitter 3.70 I only had 30 minutes before catching the next tram otherwise I would have had another one. Excellent Okells. 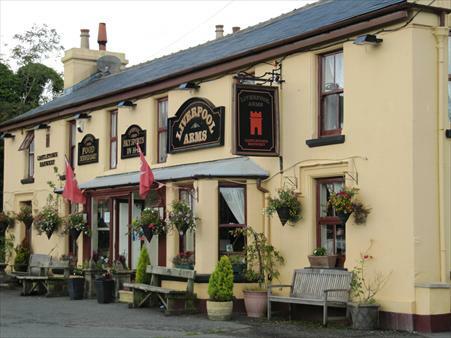 The pub is found in Baldrine, Isle of Man, IM4 6AC. Large narrow pub on TT course, it is situated between Onchan and Laxey, and is easily reached by bus or electric tram to Baldrine request stop. The pub has a reputation for good food, and also advertises Sky Sports and Karoake. 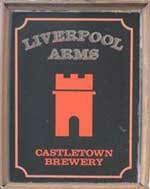 We have visited this pub once, seen 1 beer and tried it.